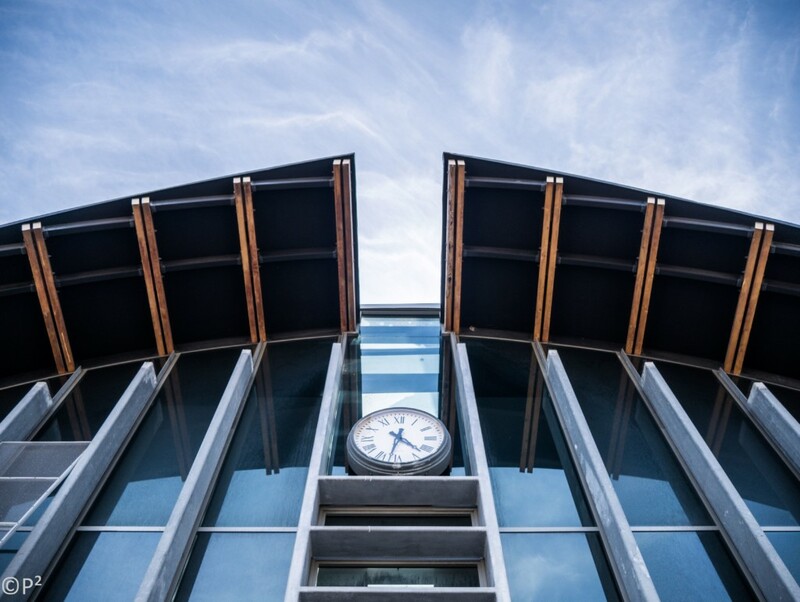 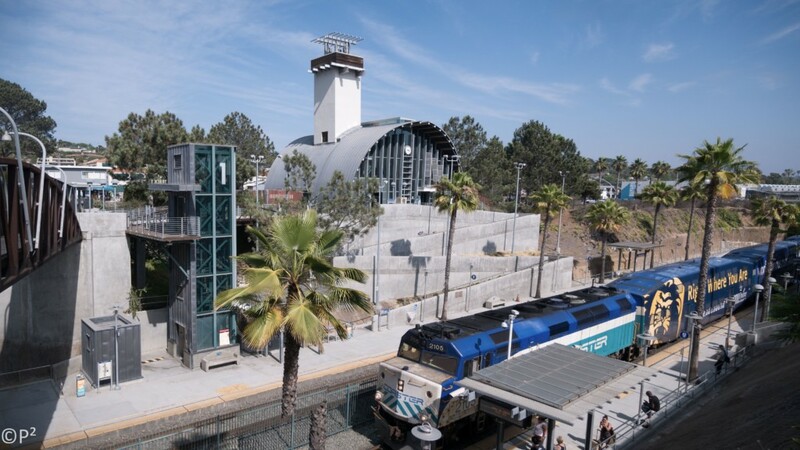 “Solana Beach Transit Center is a train station on Amtrak California’s Pacific Surfliner passenger train and on North County Transit District’s COASTER commuter rail route located in Solana Beach, California. 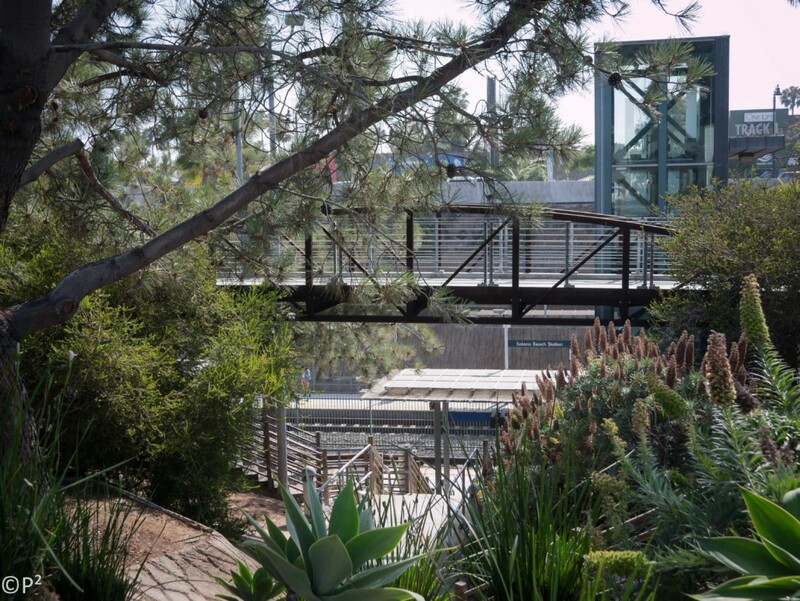 The tracks were lowered to their current position in the late 90s, to alleviate congestion on Lomas Santa Fe Road and Downtown Solana Beach. 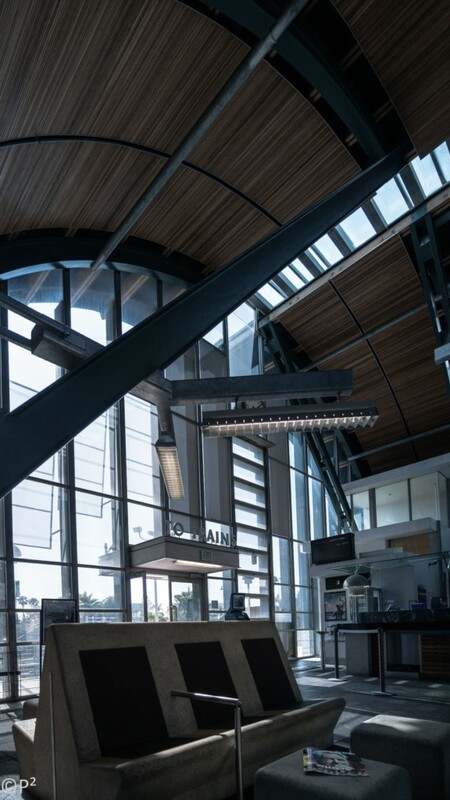 There is enough room between the two tracks to create a third track, which could be used as a bypass track. 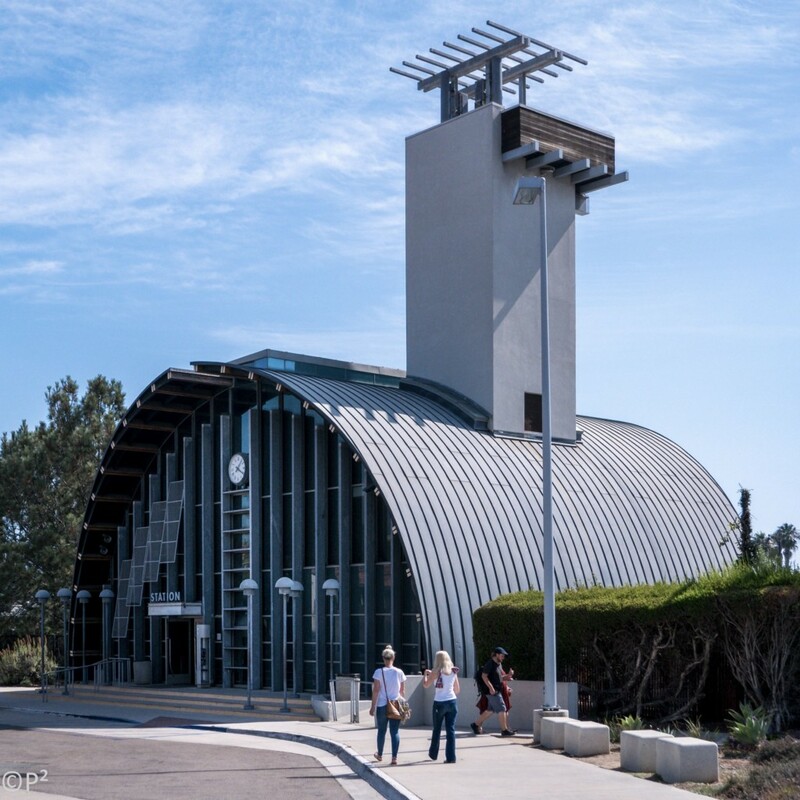 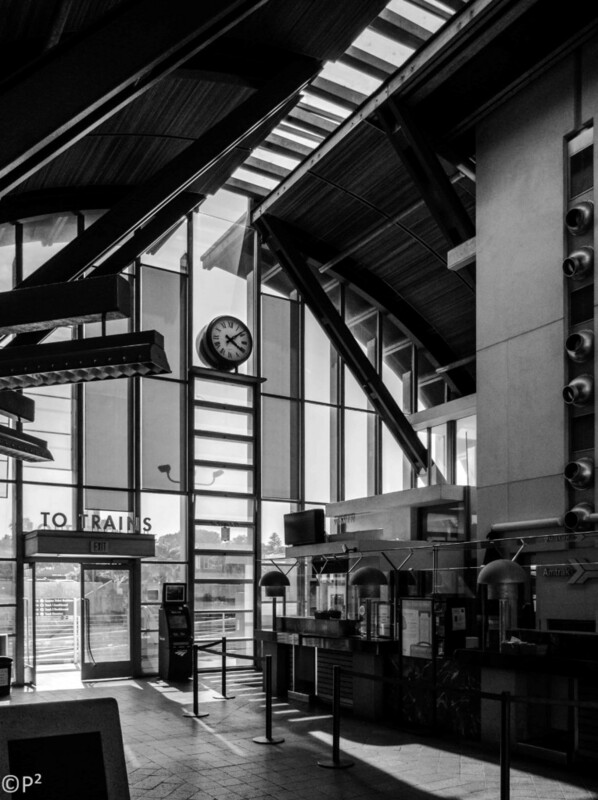 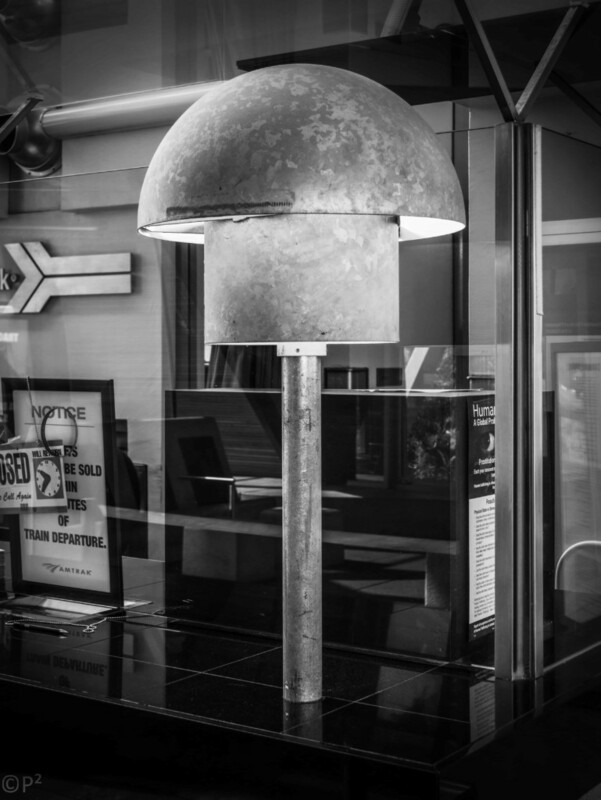 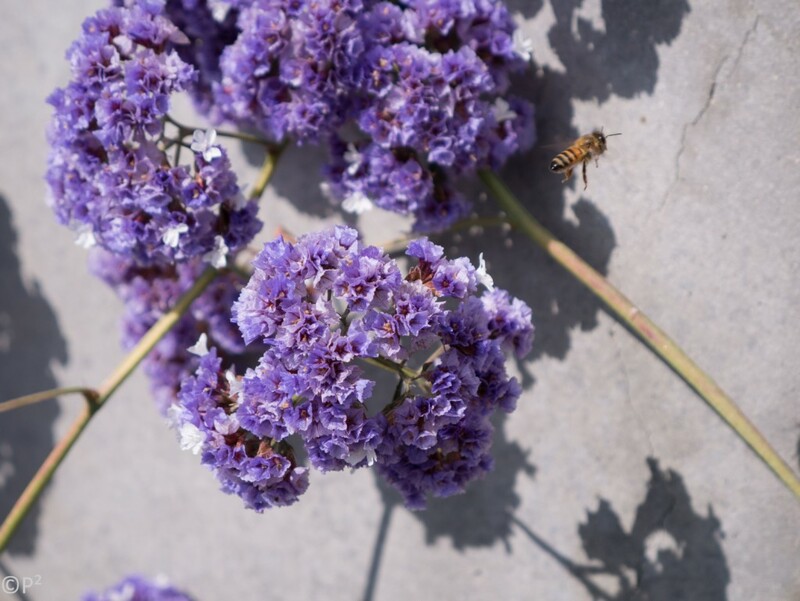 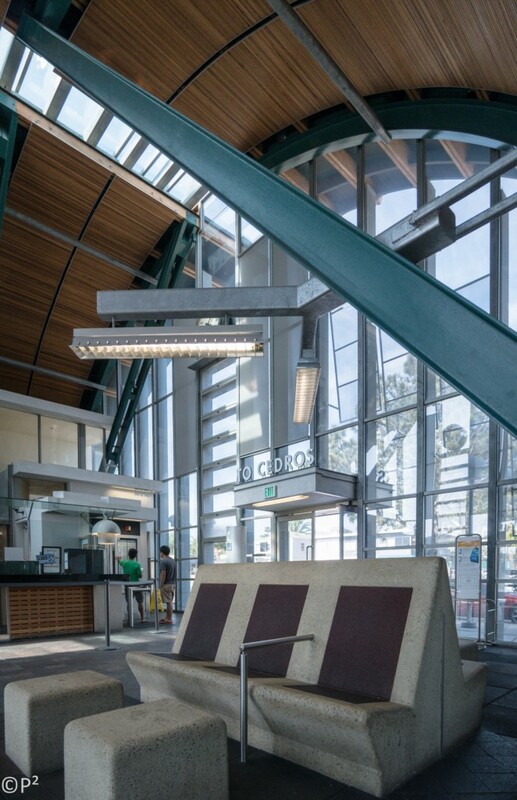 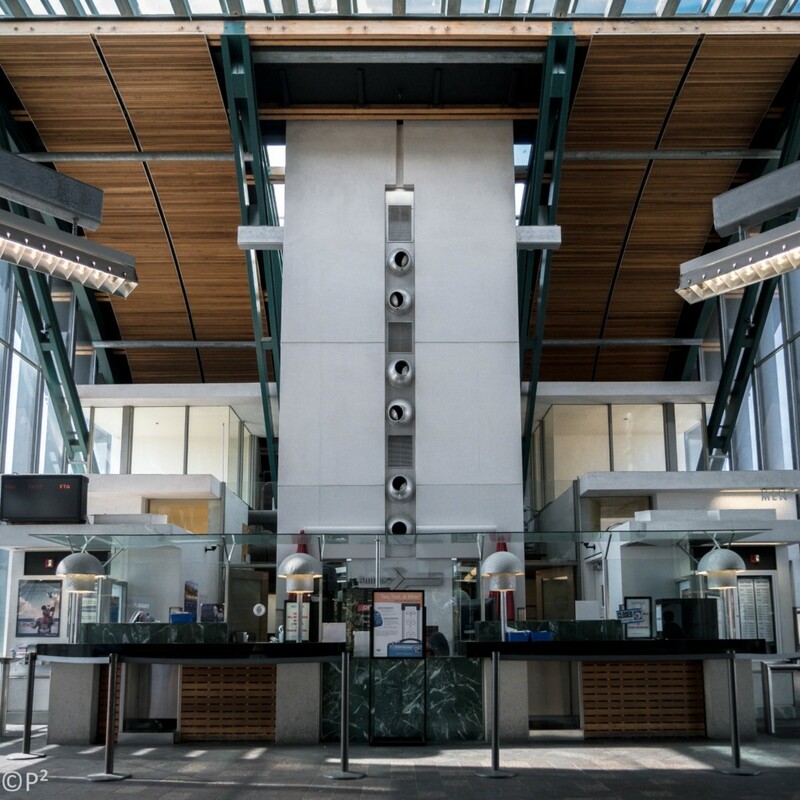 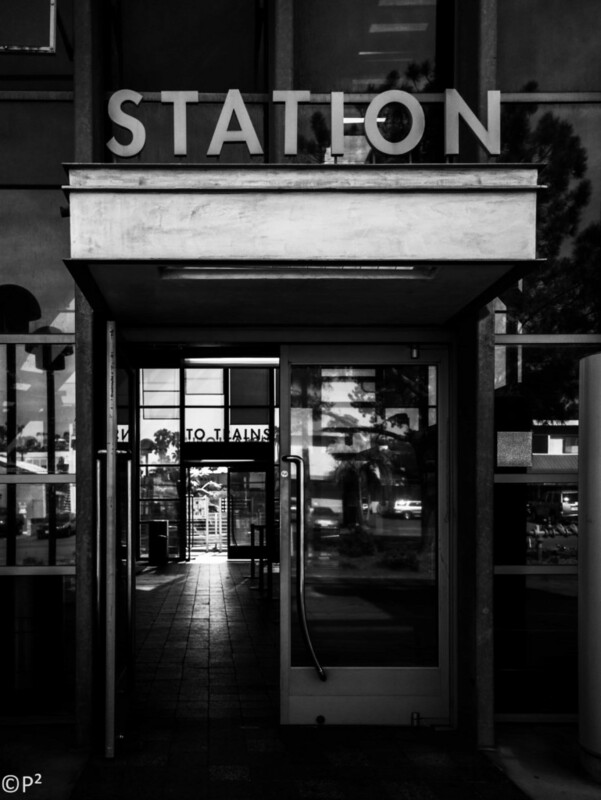 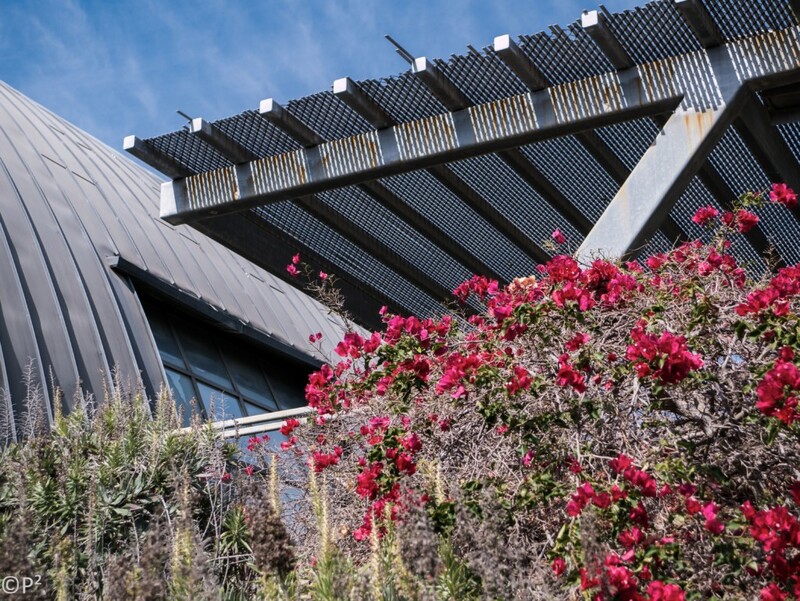 The station was designed by architect Rob Wellington Quigley and was built in 1994 to replace the aging depot in Del Mar, California two miles south which had been in use since the early 1900s. 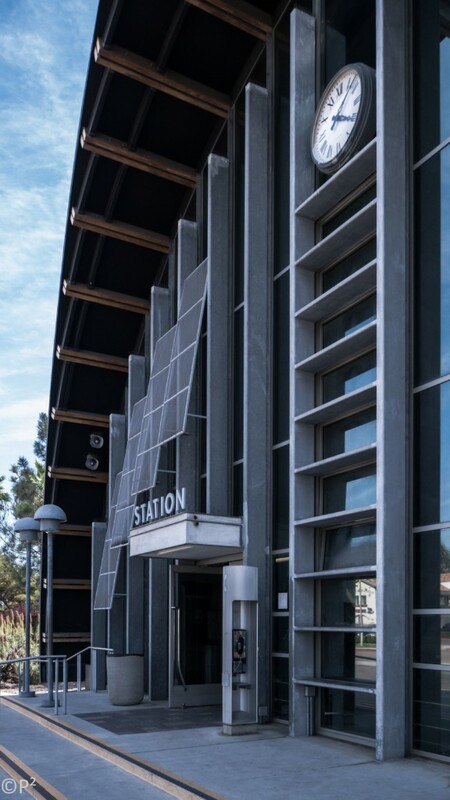 Funding for the station included $2.8 million from Proposition 116; an additional $3.3 million used for land acquisition and design was obtained through Transnet, a half-cent county sales tax. 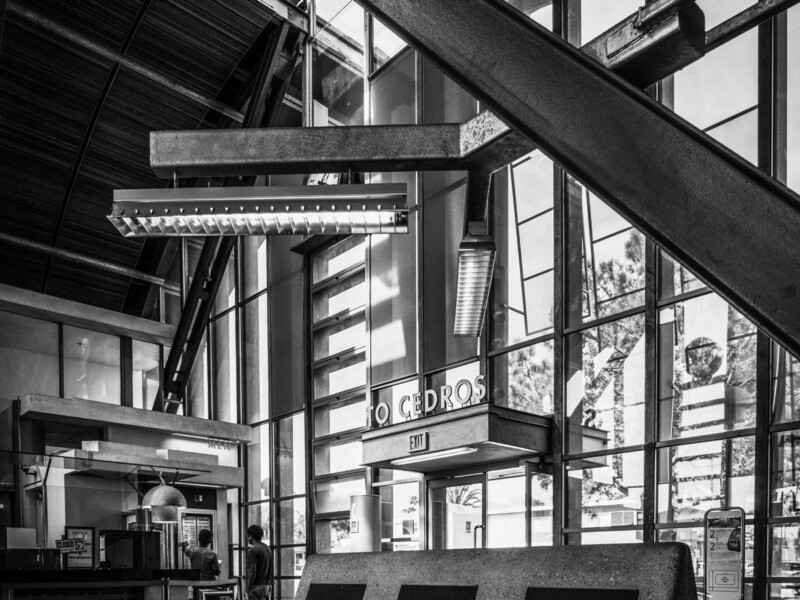 Quigley drew inspiration for the design from a group of Quonset huts that used to line North Cedros Avenue in the 1940s. 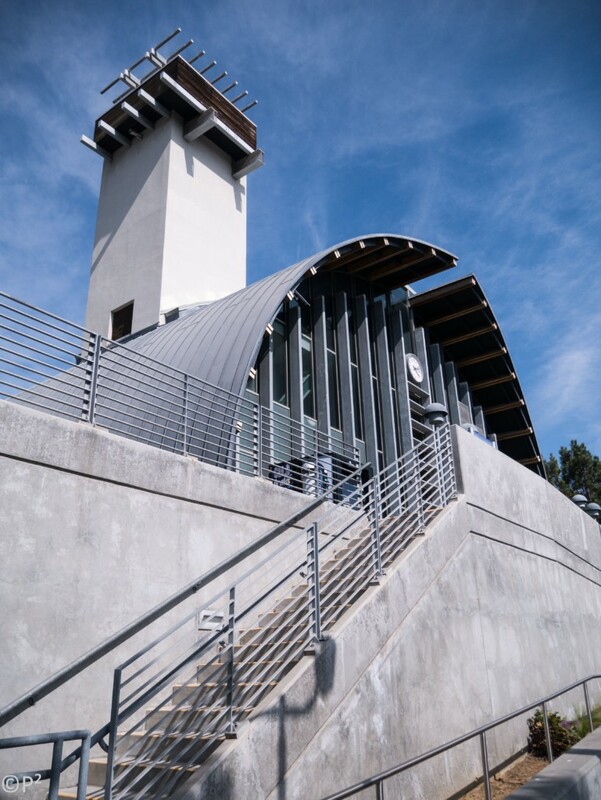 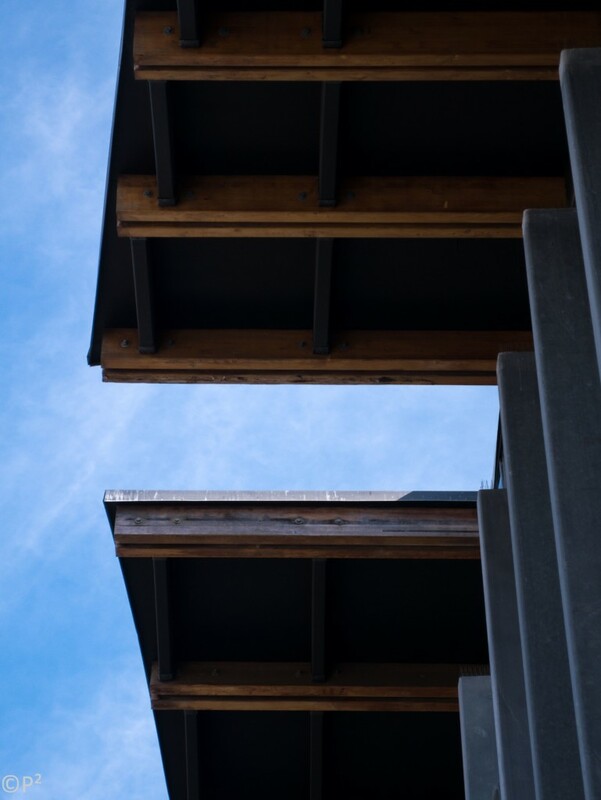 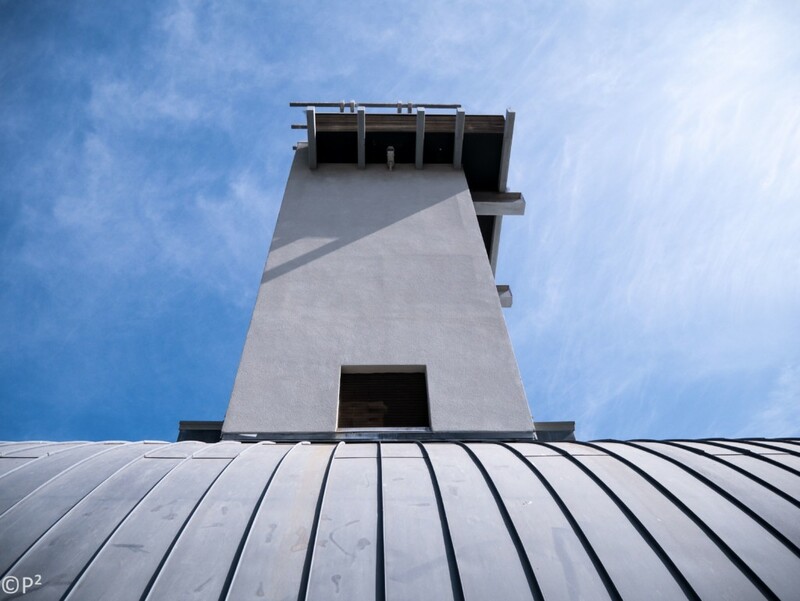 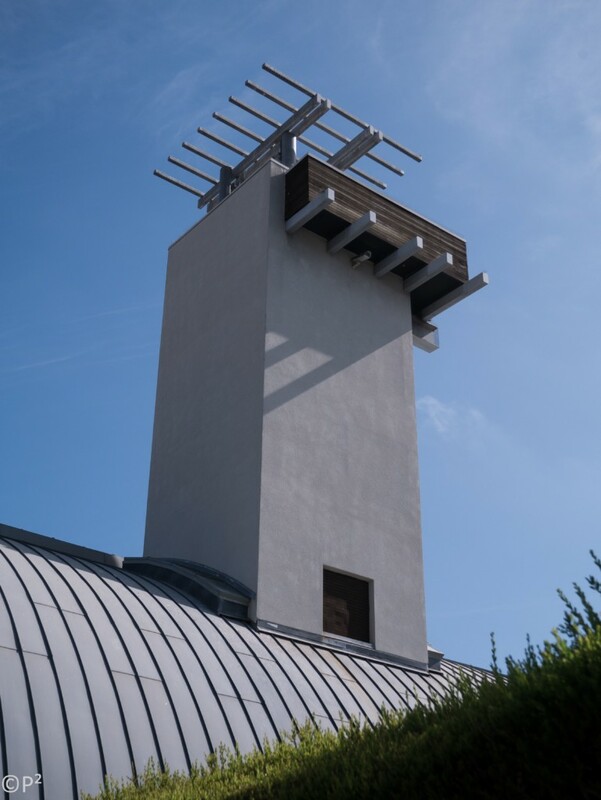 To the basic semi-circular form of the hut, the architect added a tower reminiscent of those found on many train depots dating to the second half of the 19th century.